To dye or not to dye. That can be a difficult question. Having hair a colour we weren’t born with can make us feel better about how we look. The act makes us focus some time and attention on our bodies and taking care of it. Experimenting with our look can be a lot of fun. But, dyes contain harmful chemicals that damage the environment, our own health, and the health of hair stylists. Plus it takes time and money that might be better used elsewhere. Well, it might only be the final two cons you need to consider as eco-friendly dyes are a great alternative to the normal drugstore and hair salon brands. Henna is great because it’s natural and conditions hair. Some brands do contain chemicals so do a little research before making a purchase. Some Etsy sellers mix their own dyes to sell and would love to do business with you! 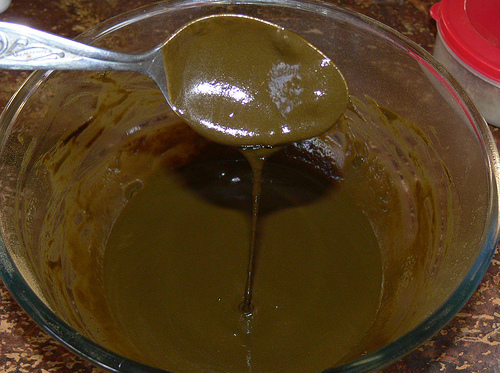 Colora Henna is a great product available online or at health food stores. The powder is 100 per cent natural, while the liquid dyes are 95 per cent natural. These products cost less than $10. A third of the powder package will adequately cover roots, so after the initial dye you’ll only have to buy a package every few months. Non-henna based chemical-free dyes do exist. Just check out your local health food store or eco-friendly hair salon. Or try Logona Herbal Hair Color. Many dyes claim to be chemical free but aren’t. So, again, do research before making a purchase. Watch out for ammonia, p-phenylenediamine, peroxide, coal tar, lead acetate and resorcinol in particular. Temporary dyes can be made at home using everyday ingredients. There are a lot of recipes online for hair dyes. Try gathering ingredients from different recipes for the same colour and mixing them together. Try out different things you think might produce the colour you want. Have some fun and experiment. Do you have experience with eco-friendly hair dyes? Share it with us!